Today is no ordinary day. You may perform simple routines, feel uninspired, or lack the excitement of hope. But today could be the most important one of your life - depending on how you choose to spend it. Joyce Meyer, New York Times best-selling author, encourages you not to waste another minute. There is something special, valuable waiting for you to discover in each day. And when you spend time with God daily, asking him to help you find it, you'll unlock the wonderful purpose he has in store for you. Loved it! Loved her voice! 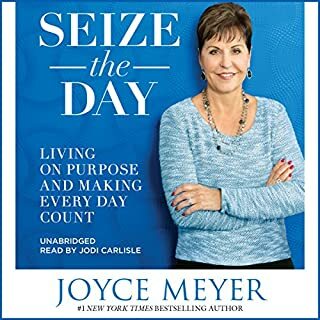 Internationally known teacher and author Joyce Meyer affirms that God's plan for you is to enjoy life to the fullest; all of life, every day of life. 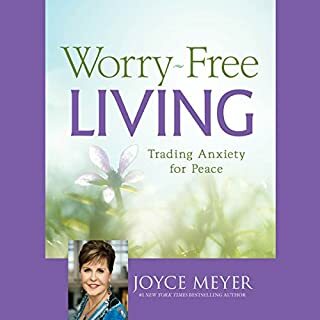 Through inspiring passages from Scripture and words of wisdom mined from her ministry and her own experiences, she shows you how to find joy and keep it. 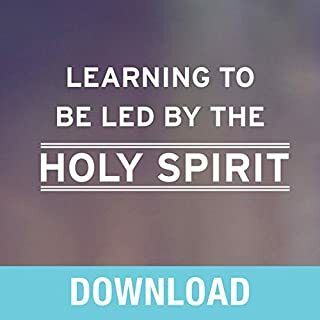 In her honest and straightforward style, she points out the seven things that can steal your happiness and instructs you in how to replace them with God's truth and love. 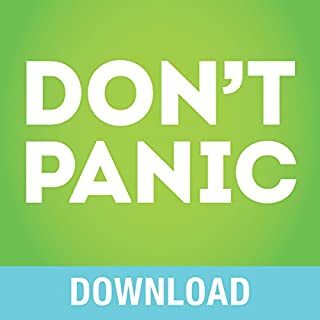 When tough times come, do you panic, complain, turn to addictions to alleviate your anxiety, or try to take matters into your own hands? All of these responses will make matters worse, leading to unhealthy behaviors and more trouble. 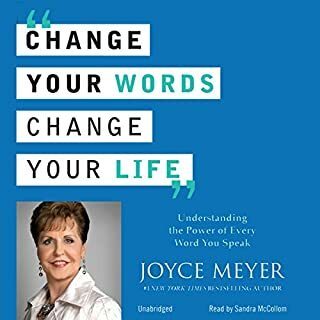 Joyce Meyer has a knack for coining phrases - her fans call them "Joyceisms" - and one of her best loved is "Where the mind goes, the man follows." 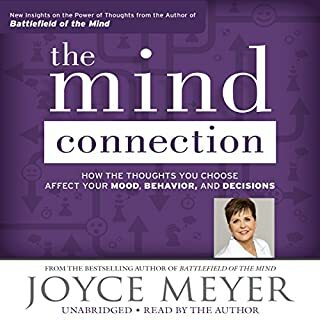 This was the basis for Battlefield of the Mind, and in her latest book, Meyer provides "power thoughts", bringing the reader to a new level of ability to use the mind as a tool to achievement. 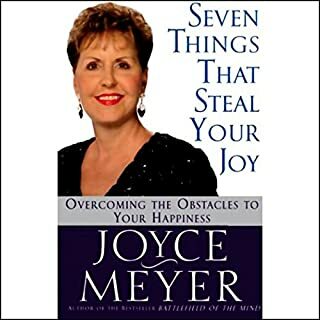 Nobody has more of a "can-do" attitude than Joyce Meyer. Now you can, too. This is brilliant follow up to battlefield of the mind. The strategies she provides are useful tools and all bible based. Looking forward to reading The mind connection next. This book touches on issues everyone of us deals with, almost daily. I have listened to the chapter on discipline several times! It contains excellent suggestions for life living! 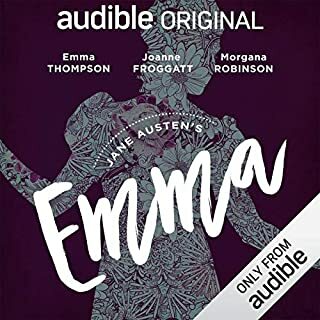 The only downside is I am not crazy about the narrator's voice--not a voice you want to listen to for this long of a book! Really wish it would have been narrated by the author. I spend most of my time listening in the car and its hard to listen to. But I do enjoy the content. The narrator reads very very slowly and her annunciation is totally unnatural. I honestly had the book on 2x speed and it was more bearable to listen to. This book was encouraging. I have a real problem with negative thinking, and it has helped me reevaluate my thinking. I disagree with her presentation of prosperity though. God calls us to trust in him for what we need and them to be content, but that we should ultimately focus on heavenly things. She overemphasized material things. Her intent is good, but the theology seems a bit shallow and focused on temporal things rather than eternal. What made the experience of listening to Power Thoughts the most enjoyable? 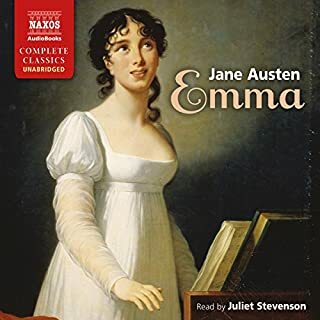 While I LOVE the content of this audiobook and will continue to use as a study guide, I am not a fan of the narrator. 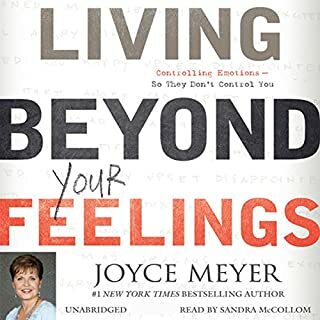 She has narrated other audiobooks I have by Joyce and I get distracted every time by the mechanical, unemotional reading. But overall, Power Thoughts has addressed every area in my life that I have struggled with and feel the value is unbeatable. Not sound so mechanical and unemphatic in the reading. It sounds emotionally void. 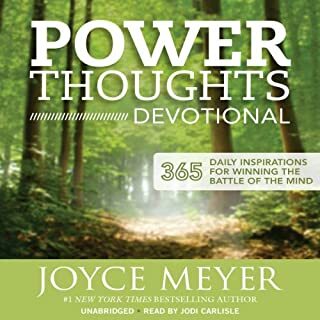 What insight do you think you’ll apply from Power Thoughts? Among many...realize my value in God's eyes regardless of other influences. I love that action plans were included for self evaluation. 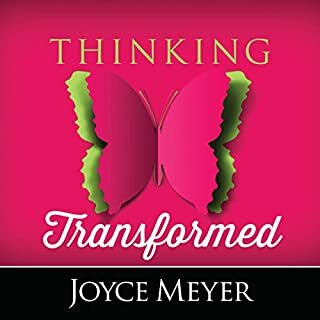 If you don't know Joyce Meyer ~ you need to find out who she is. I just got home from a woman's conference, where Joyce Meyer was speaking on the power of thoughts. 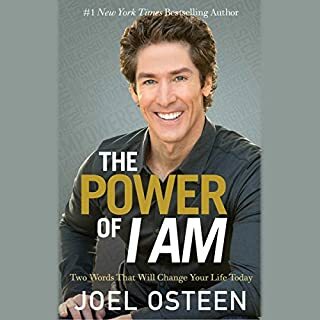 I not only got the audible, but I am getting the book and the dvd set, just on this book. Whether you believe in God or not, are Christian or not, are religious or not, this book is for you. Could you imagine just for yourself, how others would act around you, if you could find something to be positive about in the midst of a circumstance or just simply find a way to deal with your circumstance by being in control of your thoughts? This book will teach you that. Give it 21 days to create a new habit. ENJOY!!! 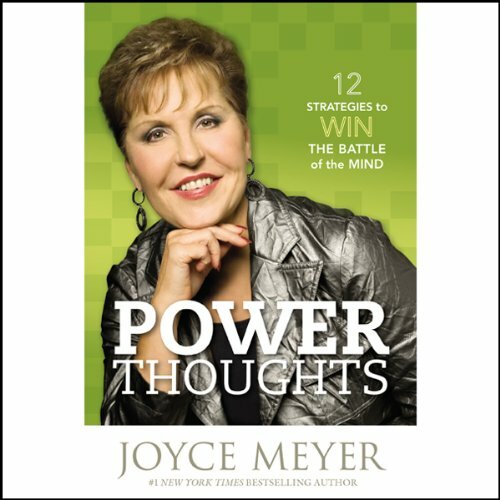 the only disappointing side of this book is that Joyce Meyer herself is not the one reading it. 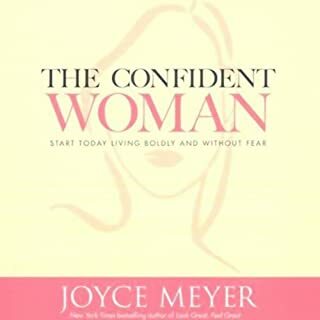 I love Joyce Meyer's books. I always finish her books feeling empowered and in control of even the most challenging circumstances. I also like the fact that these are Christian books vs. those do it yourself new age beliefs. It's comforting to know how much Christ loves us and how He is always there to help and all we have to do is believe and ask. An A++++ must read. 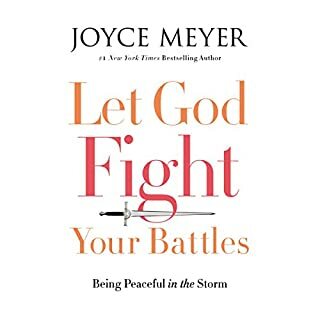 This is the best book Joyce Meyer has written to date. 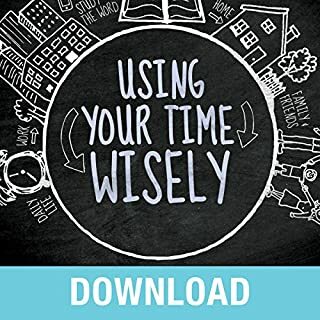 She lays out a progressive plan for improving your thinking, getting rid of bad habits and improving your enjoyment of life. Each Power Thought is described in detail with Biblical references to back up the ideas she presents. 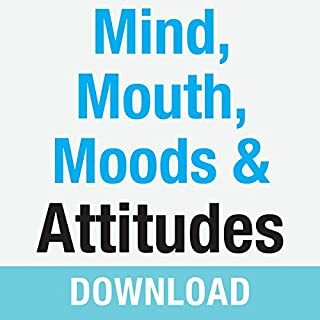 She does an excellent job of using research material from experts in neurosciences and psychology to reinforce the process of improving our thinking and changing our lives by changing our way of thinking. 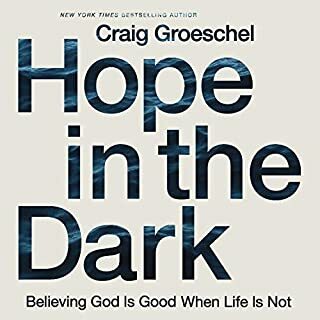 Very good book for people who live in depression, fear, or who just want to improve their outlook on life in general. Everyone can benefit from at least some of the truths presented in this book. This book has helped me tremendously. I've always had a hard time keeping a positive attitude and having the faith I needed to let God work in my life. This book has helped me to stop going around that same mountain. didn't like the book. don't like the narrator. please give me credit i didn't listen to it. I like this book but I need to read it over and over so I can remember it. Sometimes you listen to a book or read it and struggle to apply it but I find that Joyce has a way of making things very practical and hitting a wide audience and many levels of understanding. This book has been particularly helpful to me. Applying the principals has really shown fruit in my life and I can honestly say that if your thought life needs help or improvement then this and battlefield of the mind are musts for you. However, as Joyce says listening is not enough, you must apply the principals it teaches. I also found that Sandea McCollom is a good narrator and easy to listen to. Couldn't listen for more than a few minutes - preachy, cliched and very very very boring. Loved this book. So many revelations! Excited to re listen and get each power thought printed up and focus heavily on one per week. A different speaker needed . It was ok but not engaging. Listened to others and realised it was why I would prefer either author or new reader. Please pray for discernment when reading as forewarned about false teaching in the last days.